The 2.62 mile run/walk is celebrating it’s 3rd year, honoring Jeff Bauman and his heroic recovery from the 2013 Boston Marathon attacks. All profits from the event directly support the Wiggle Your Toes Foundation, a 501(c)3 non-profit that has continued to support Jeff and others afflicted with limb loss. As a way to say thank you, the Run for Bauman Team invites you to join us this July for another stellar event!The course will start and finish at Chelmsford High School. Online registration closes at 11:59pm on Thursday 7/09/15, but you may still register on the day of the event beginning at 8:00 AM at Chelmsford High School ($40 day of!). 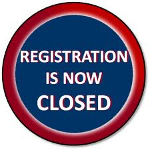 IF YOU PLAN ON REGISTERING THE DAY OF THE RACE, PLEASE ARRIVE EARLY.